University of California, Berkeley officials are standing their ground. 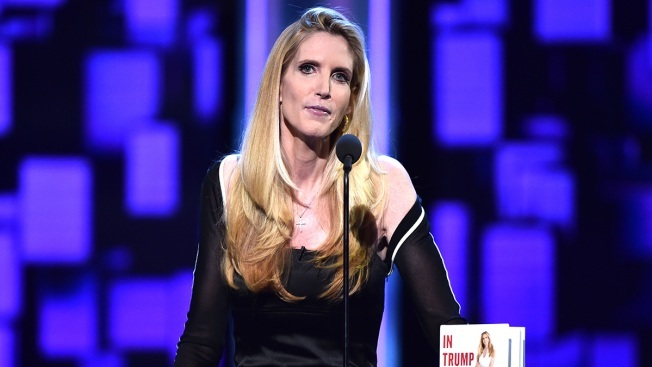 Conservative provocateur Ann Coulter is slated to speak on the East Bay campus on May 2 — the week after regular classes formally end — despite demands from the Berkeley College Republicans to keep the originally scheduled speaking date of April 27. A lawyer representing the group on Friday fired back against the university and promised to file a lawsuit if the event doesn't take place on Thursday. "(Coulter's) not being allowed to speak in the same way other student groups are allowed to bring their speakers," said Harmeet Dhillon, a lawyer for the Berkeley College Republicans and the Young America's Foundation. UC Berkeley first canceled Coulter's speaking engagement earlier this week because of security concerns, but they later retracted that decision and allowed the event to go on. That's when the university penciled in her visit for May 2 instead of April 27. Some students do not want Coulter on their campus at all, citing violence concerns after a Milo Yiannopoulos appearance in February sparked riot-like chaos. "This is not a free speech issue," student Reiko Redmonde said. "She does not need an extra platform to spew her hateful stuff." Those on Coulter's side said she deserves the right to speak freely and share her viewpoints with anyone who wants to listen. The controversy swirling around Coulter's visit comes at the same time Yiannopoulos announced his decision to return to the campus on May 5.